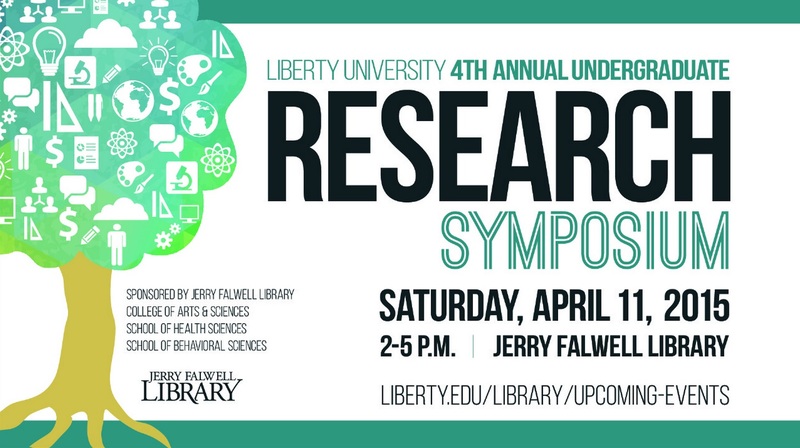 Liberty University's fourth annual Undergraduate Research Symposium will be held in the Jerry Falwell Library on Saturday, April 11, 2015. Deadline for poster and presentation proposals is March 28, 2015. All presentations will be judged by several Liberty librarians. Awards and Visa gift cards will be given to the winners at the conclusion of the symposium. Two Honorable Mention certificates will also be awarded to students in each category. Want to publish your research? Students who present at the symposium are invited to submit a final draft paper to be considered for publication in the first issue of the Montview Liberty University Journal of Undergraduate Research. Click on the link below to visit the journal website and submit your paper. Deadline for submissions is 11:59 p.m. on Sunday, April 26, 2015.